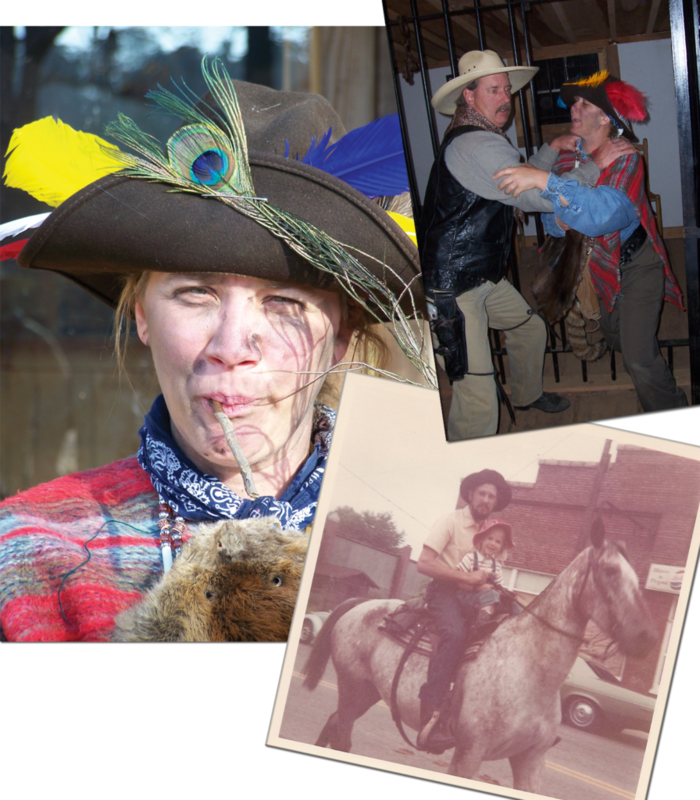 Circle M City, a Wild West entertainment destination, is your location for: Weddings, Birthday Parties, Field Trips, Corporate Events, Reunions, Movie Making, Trick Roping, Horseback Riding & More! The town features a church, mercantile, bank, saloon, livery stable, printing press, blacksmith, museum, jail, costume room, opera house, kitchen and horses! Have a “Barn Wedding.” Come to our music jams on Monday nights. Stroll down the boardwalk. Sit a spell and watch a cowboy trick-rope and spin his guns. Meet Crazy Kate. Ride a horse. Go on a hayride. HAVE SOME FUN! Tim Marsh is a fourth-generation cowboy. His great-grandfather, Julius O. Matthews, sold 16,000 horses per week to the government during World War I.
Tim’s father, Dwight, has been riding, doctoring, trading, training, breeding and boarding horses since 1963. Tim credits a large amount of his knowledge about horses to his father. At the age of 8, Tim broke his first pony, Dolly. Tim’s experience includes breaking and training horses, trail riding, racing, showing, jousting, trick riding, mounted shooting and roping. 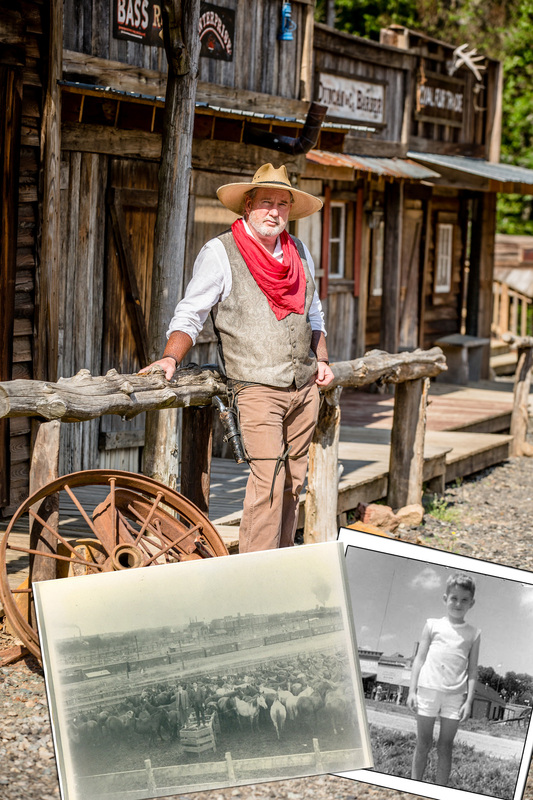 Tim was led by Divine Inspiration to create the live drama and film “Cowboy Trail” using his horses and his talents. We look forward to meeting and entertaining you! Please email or call for more in-depth information about our services and our facilities.